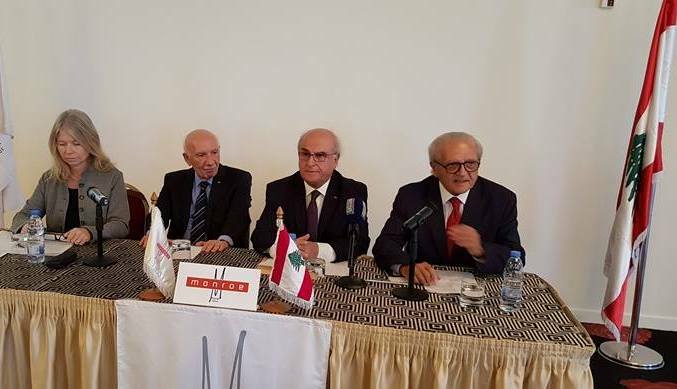 Within the Framework of “Promoting the Constitutional Council Role in Building the State of Right” project, ACRLI has organized the national workshop on “Highlights on the Role of the Constitutional Council in Building the State of Right in Lebanon” in participation with the Lebanese Constitutional Council represented by its’ President Dr. Issam Sleiman. The workshop was held in cooperation with the “Konrad-Adenauer-Stiftung” at Monroe hotel at October 5, 2017. The national workshop aims to support the democratic reform by deepening, strengthening and expanding the competence of the Constitutional Council to guarantee the rights of citizens and the constitutionality of laws, thus strengthening the rule of law in Lebanon. The workshop aims also at raising the public awareness on the important role that the Lebanese constitutional council shall play same as other Arabic and European countries.